This leadership has been achieved thanks to our Original System juice extraction, which enables us to extract the maximum amount of juice, avoiding contact with the peel and guaranteeing quality, flavor and hygiene of the juice. 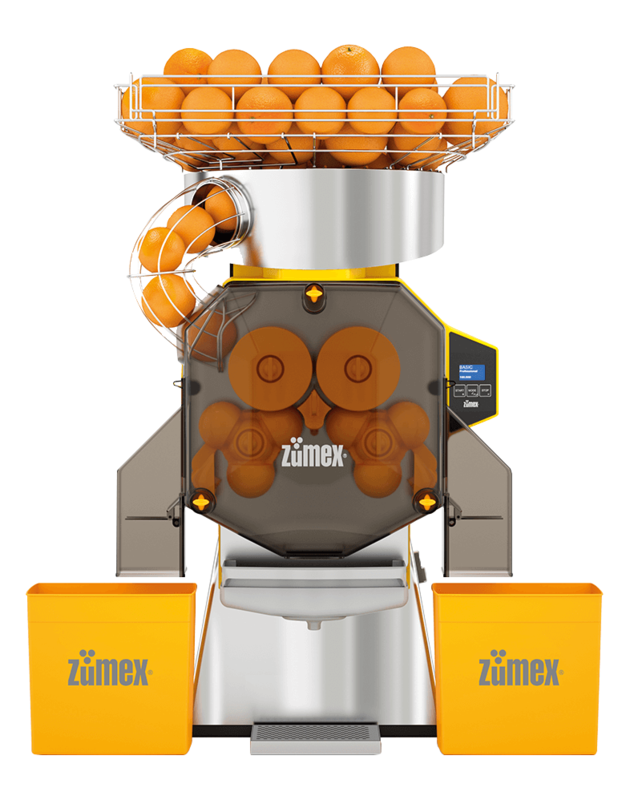 You can visit Zumex at www.zumex.com. The Multifruit juicer is the most advanced on the market, a perfect juicer for extracting the greatest amount of juice from any fruit or vegetable. Perfect juicer for healthy restaurants, juice bars, cocktail bars or pubs. Integrated large capacity waste bucket. 13 l.
With its design, size and twelve available colours, it fits perfectly in any location and is ideal for small bars and cafes where elegance is paramount. Minex provides maximum performance in the minimum of space. Style, symmetry and integration. The finest juice freshly squeezed in less than 5 seconds. Perfect industrial juicer for high juice demand. Feel the difference. 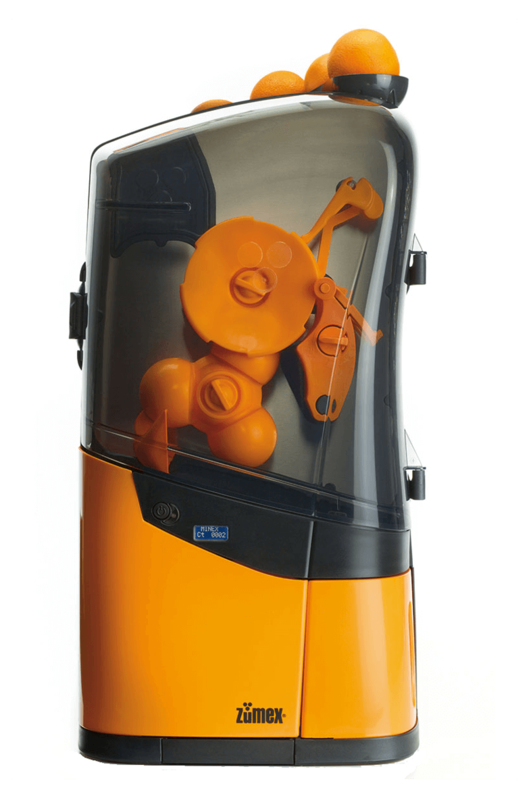 Improved version of Speed, model indicated for restaurants with a high juice demand due to its capacity and easy cleaning. Ideal for you convenience. Squeeze when you want, feel the difference. Ideal for large retail establishments due to its efficiency, simple operation and functionality. 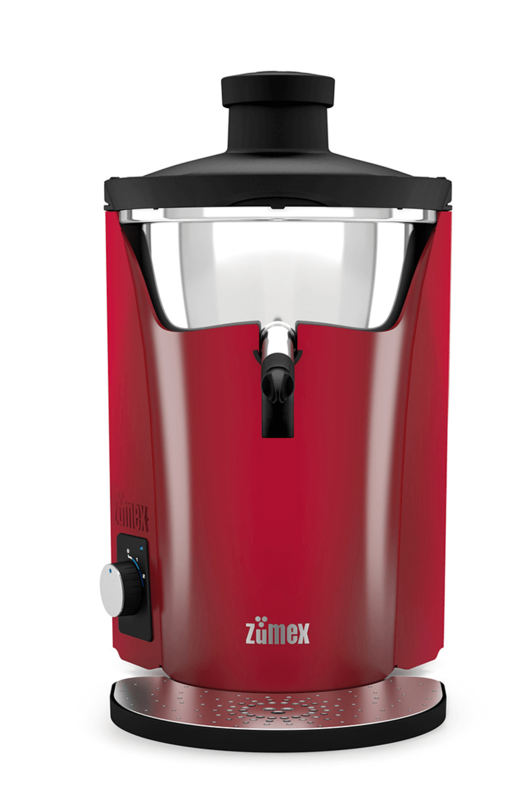 Designed to make high quality juices in an independent and efficient manner thanks to its great capacity built-in feeder. Offer the best juice with this intelligent machine and its sophisticated design, which triumphs in cafeterias, self-service stores and hotels where there is a large juice demand.